Parliamentary elections in southern Afghanistan’s Kandahar province, due to be held on Saturday, will be delayed by a week following the assassination of a powerful provincial police commander, according to the electoral body and the president’s spokesman. President Ashraf Ghani’s spokesman Haroon Chakansuri said in a tweet that the decision was made following demands from residents of the province and recommendation from electoral officials. 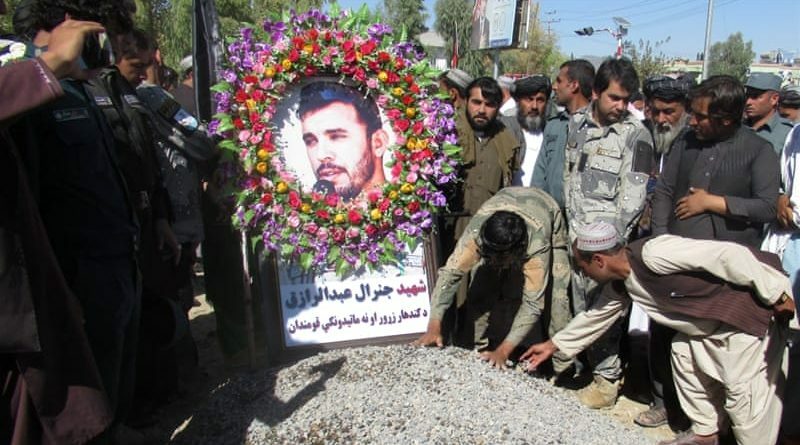 The suspension of the polls followed the assassination of Kandahar province’s police chief General Abdul Raziq in an attack claimed by the Taliban. The southern province’s intelligence chief, Abdul Mohmin, was also killed in the attack on Thursday. “Over 70,000 security forces are there to maintain security. They are on high alert,” Rahimi said. 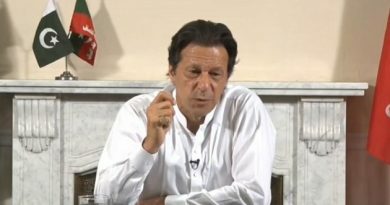 The Taliban have called the vote “fake” and warned people against taking part in the election. The vote is seen as a major test of the government’s ability to organise a peaceful, free and fair poll. More than eight million Afghans have registered to take in the poll – the third since the Taliban were removed from power in 2001. Polling stations will not open in at least a third of the country due to security concerns, said the electoral commission. Meanwhile, in Kandahar, Abdul Raziq’s funeral was held in Kherqa Mubarak – one of the holiest shrines in the city. Abdul Raziq – who survived several attempts on his life – was killed after a bodyguard opened fire after a meeting in the governor’s compound. Abdul Raziq’s father and uncle were both killed by the Taliban in 1994. 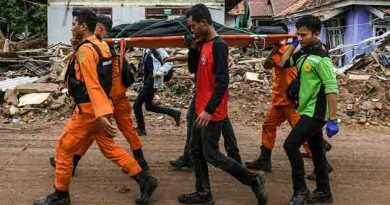 Indonesia tsunami ; At least 429 people died in Saturday’s tsunami and 128 are still missing.